Stemming from an Army background, Jimmy attended a military boarding school where sport and exercise became a primary focus of his life. Playing rugby dominated the majority of Jimmy’ years through school and university, as well as running cross country, gymnastic, trampolining, skiing, and more recently, cycling, which has led to Jimmy raising thousands of pounds for Cancer charities through a number of single day and multiple day cycles across the UK and France. Jimmy gained his BSc and MSc from the University of Portsmouth, with a focus on elite athlete development. While studying he trained a variety of athletes in a multitude of sports, including training young developing gymnasts, university rugby players and disabled adult track and field athletes. 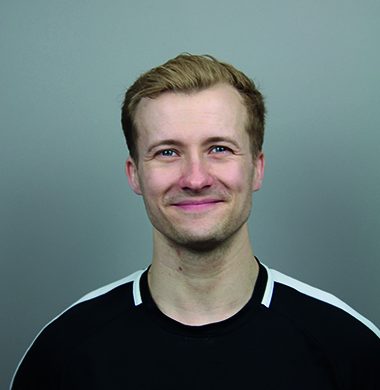 Jimmy has also expanded his toolbox with rehabilitation and sport therapy training and currently works as head physio for a semi-professional football team in Hampshire. Jimmy is also a qualified sports massage therapist, a supplement to any training package he offers. His varied experience has enabled Jimmy to absorb knowledge from many different exercise settings. His friendly, easy-going approach will make anyone feel at ease in their efforts to become healthier, stronger and/or pain free. Whether you are recovering from an injury, looking to shift your health up a gear, or fine tune your body to optimize performance, Jimmy is your man.